Unfortunately for Microsoft stock holders, at the time she was more of an effort to just keep up with Apple Inc. (AAPL) and Alphabet Inc (GOOGL, GOOG), with management hoping to retain at least some of its dying mobile device division. In the years since, however, Windows Mobile hasn’t increased in popularity, accounting for a measly 2.7% of all smartphones in the U.S. as of January. While Microsoft hasn’t officially put the withering Windows Mobile out to pasture, management confirmed at this year’s Build 2016 event that no “new and exciting things” are planned for the company’s mobile device. Instead, CEO Satya Nadella has allocated significant resources to developing and expanding the company’s artificial intelligence capabilities, focusing on voice-control and automation, and effectively resuscitating Cortana by integrating her into future device builds and positioning the AI as the focal point. For Microsoft, the decision to focus on human-to-machine interaction and voice-activated control of mobile devices — last December, Cortana became available for iPhone and Android — is a wise one. Rather than wasting millions of dollars on the fool’s errand of directly competing with iPhone and Android, Microsoft has essentially accepted defeat in the smartphone hardware arena. How Will Cortana Transform MSFT Mobile Presence? Most smartphone users are at least vaguely aware of the voice control capabilities embedded into modern devices. We can search the internet, send emails and text messages, make calls and schedule reminders. Voice, however, isn’t the primary way we interact with our devices, and many people see this feature as more of a gimmick than anything else. Microsoft hopes to change that. Nadella wants Cortana to eventually become the artificial intelligence assistant for mobile devices, replacing Siri and Google Now. “It’s about taking the power of human language and applying it more pervasively to all of our computing,” Nadella explained. On the surface, the concept is actually quite simple and intuitive: Cortana will help smartphone users accomplish a number of complex tasks, from shopping to scheduling appointments to sending emails, all by having a relatively normal conversation with your phone. Cortana’s speech recognition and integration capabilities are already impressive, which is the foundation upon which future advancements will be made. A new framework is available for developers to create voice-responsive apps that integrate seamlessly with Cortana, allowing for a hand-off of user voice input from one to the other. Microsoft hopes to build an army of “chatterbots” that can all work together to share data and accomplish whatever task the smartphone user requests. With Cortana in the middle, users should feel more comfortable interacting through a familiar AI. Artificial intelligence software has come a long way in the 50-or-so years since the ELIZA chatterbot was developed by the MIT Artificial Intelligence Laboratory. Today, computers and mobile devices can recognize human speech, understand the content and context of those spoken words, and respond accordingly, whether that response is a simple audible cue or something more complex. With tech goliaths such as Microsoft, Apple, Alphabet and even Amazon.com, Inc. (AMZN) all developing their own voice-responsive artificial intelligence software, it’s clear that the spoken word will continue to play a larger role in how we interact with technology. 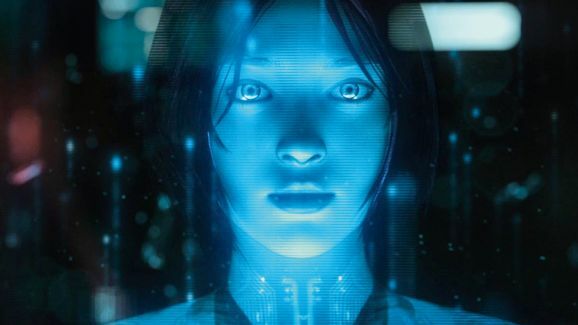 Microsoft is attempting to position itself as a future leader in the voice-activated human-to-machine interaction arena with its new “Conversations as a Platform” development system by using Cortana, its advanced artificial intelligence assistant. While other technology giants will surely continue improving their own mobile AI assistants, MSFT’s new dedication has the potential to advance the company — and Microsoft stock — to new heights down the road. The key will be attracting app developers to the Microsoft platform, which shouldn’t be nearly as challenging as it was in the past, given that Cortana is no longer exclusive to Windows devices.